Perfect date for Valentine's Day! Head over and indulge to the yumminess of Baskin-Robbins! Baskin-Robbins, the world’s largest chain of ice cream specialty shops, is offering guests a lineup of sweet frozen treats to celebrate Valentine’s Day this year, including its February Flavor of the Month, Love Potion #31®. 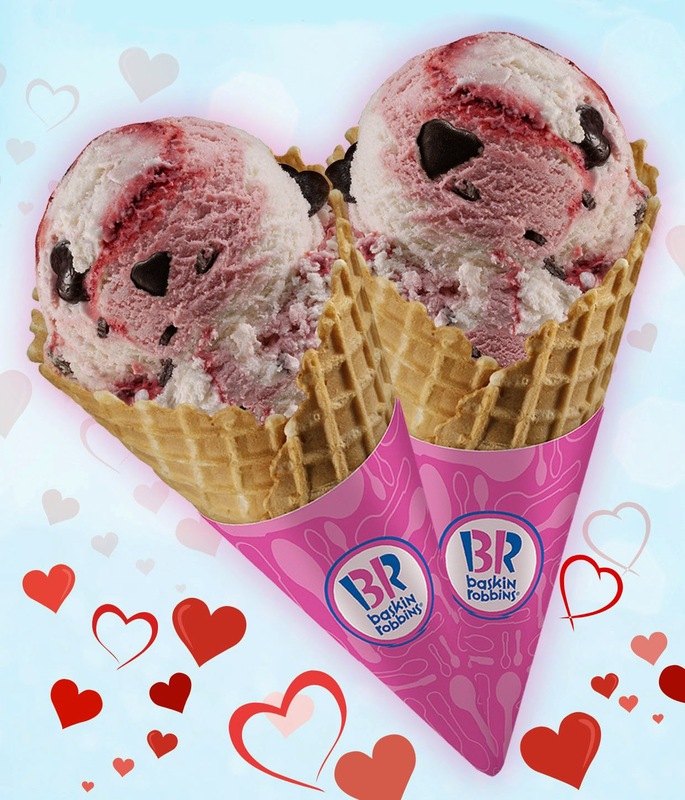 This beloved Baskin-Robbins classic flavor launched 21 years ago, features white chocolate-flavored and raspberry ice creams, a raspberry ribbon, chocolate chips and raspberry-filled chocolate-flavored hearts. Love Potion #31® can be enjoyed in a cup, cone, milkshake or two-scoop sundae. Also this month, Baskin-Robbins is launching its Conversation Heart Cakes – the ideal way to share something sweet with that special someone or even a whole family of loved ones! 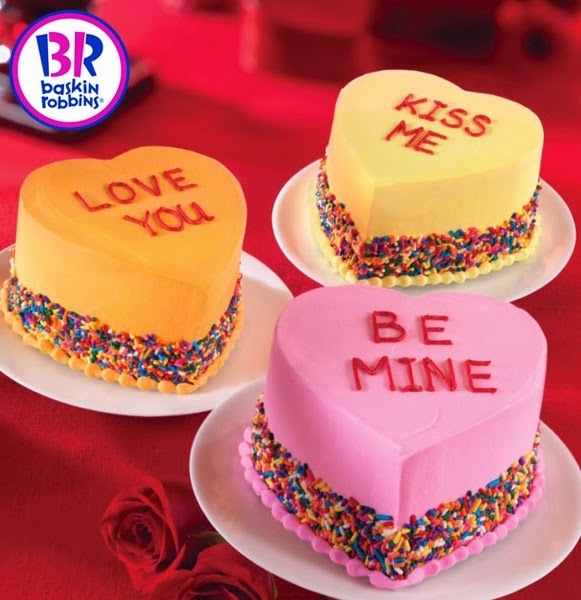 Baskin-Robbins’ Conversation Heart Cakes are adorned with rainbow sprinkles and feature one of three Valentine’s Day messages: “Love You”, “Be Mine” and “Kiss Me”. Also available is the Be Mine cake – a rectangular cake with a light pink icing base and small delicate red hearts scattered all over. The cakes can be customized with any ice cream and cake flavor combination and guests can also include a personalized message for their special someone. Both designs serve 6-8 people. 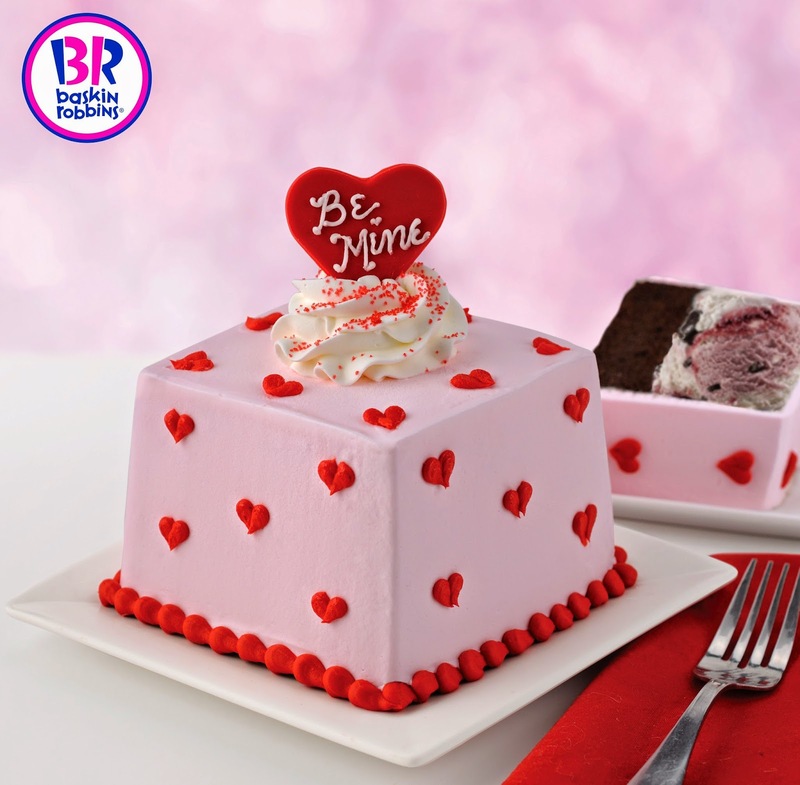 The Conversation Heart Cakes and Be Mine cake are only available at the Baskin-Robbins BGC branch for now. “Valentine’s Day is the most romantic day of the year and we’re excited to offer ice cream lovers nationwide our classic Love Potion #31 flavor and a sweet lineup of frozen treats they can enjoy with their loved ones all month long,” said Lester Monleon, Operations Manager, Ice Dream Inc. “Our Conversation Heart Cakes are the perfect way for our guests to express their love to that special someone with a personalized message and their favorite ice cream and cake combination.” Added Monleon.